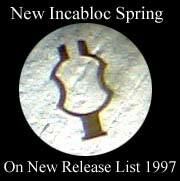 Novodiac Shock systems are made by Incabloc. At this time we only have the complete upper setting with jewels and spring, which is different than the complete lower setting. 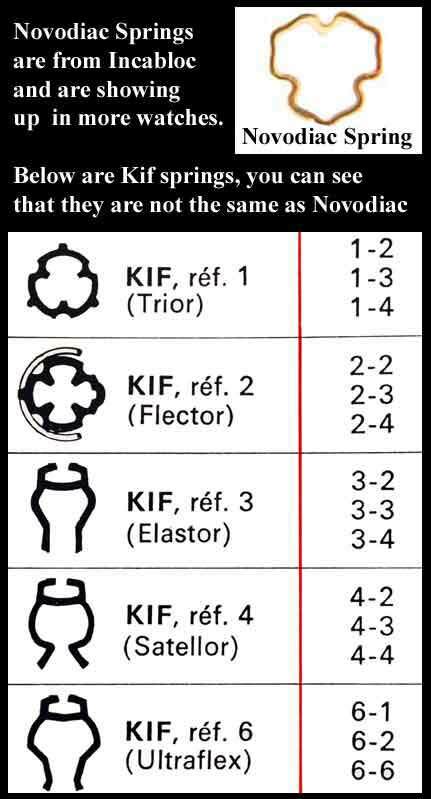 However, both the upper and the lower take the same Novodic Spring and we now have them in stock listed below. 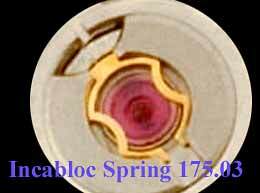 Five Incabloc springs number 470.13. 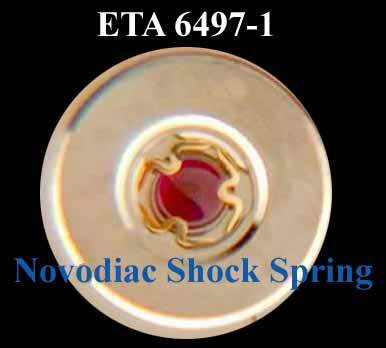 Used as the lower cap jewel in ETA 6497-1 & 6498-1 using the Novodiac Shock System. Also used as both the upper and lower cap jewel on ETA 2660, 2671, 2801-2, 2804-2, 2824-2, 2836-2 and FHF 100 using the Novodiac Shock System. 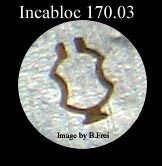 Novodiac Shock systems are made by Incabloc. 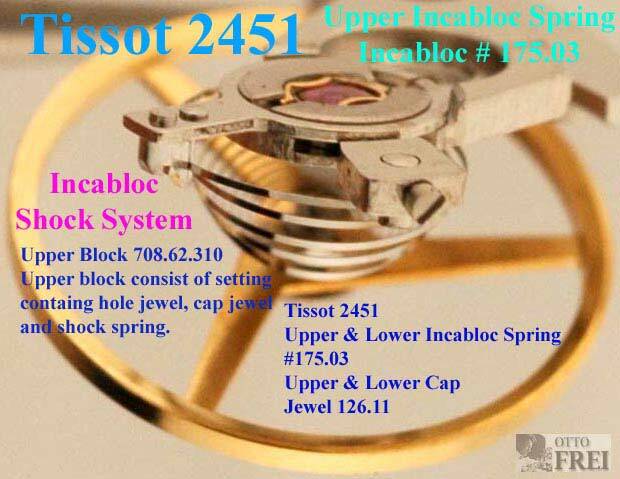 We have the complete lower setting with jewels and spring, which is different than the complete upper setting. However, both the upper and the lower take the same Novodic Spring. Novodiac Shock systems are made by Incabloc. 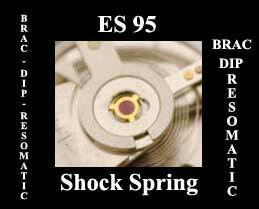 We have the complete upper setting with jewels and spring, which is different than the complete lower setting. 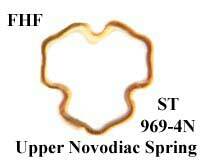 However, both the upper and the lower take the same Novodiac Spring. 1.0 MM Diameter. Sold in packages of 2.